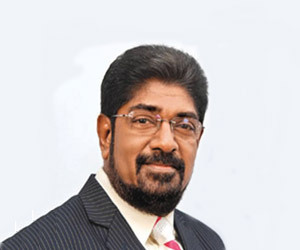 People like S. Sridharan of the TNA and Mangala Samaraweera of the UNP should apologise to the people for instigating Callum Macrae to suggest that the President and the Defence Secretary who ushered in peace and freedom after overcoming the greatest challenge which faced the motherland in its recent history, should be hauled before a war crimes tribunal, Mass Media and Information Minister Keheliya Rambukwella said. “If they do not tender an apology, the nation’s curse will befall them for betraying the 22 million population of this country,” he said. Minister Rambukwella said this addressing a press conference in Kandy. The minister said the President and the Defence Secretary were responsible for liberating the country from three decades of terrorism unleashed by Prabahakaran, ensuring a bright future for the people of all communities handing over books and ensuring education to innocent children in place of the gun given to them by Prabhakaran, rehabilitating LTTE cadres and integrating them into society and ensuring the holding of elections in the North, similar to East. “Was it for rendering such a colossal service that people like Macrae, Sridharan and Samaraweera wanted them before a war crimes tribunal?” he asked. “All what the President and the Defence Secretary had done was to liberate the country from terrorism and restoring peace and unity in the country and this service could never be considered as a war crime,” the minister said. The Daily News learns of an insidious but ham-handed attempt by the pro LTTE Sinhalese NGO rump in Sri Lanka, London and Toronto to ‘spam terminate’ the Twitter account of Ambassador Bandula Jayasekara, Consul General of Sri Lanka in New South Wales and Queensland. Kicking their wounds after loss of face in (“he’s sunk us all”) the hard hitting Twitter battle waged by the Sri Lankan diplomat countering their support of the Mercenary LTTE supporter Callum Macrae , the group had a Twitter discussion from London, Toronto and Colombo. A former CPA (Policy Alternative NGO so called) employee Anupama Ranawana has been carrying out adverse propaganda against the government of President Rajapaksa both in Sri Lanka and now from London. Romesh Hettirarachi belongs to an anti Sri Lankan group in Toronto and was instrumental in getting down Gordon Weiss another LTTE supporter to Canada to promote his book. It is known that he had even threatened the Consul General in Toronto , Karu Parnavithana for questioning Weiss in Toronto. Their partner in Sri Lanka Sanjana Hattotuwa also of the CPA is known to have close links with Weiss, Frances Harrison and Callum Macrae while working overtime to discredit Sri Lanka and the government of President Rajapaksa. @romesh_h @groundviews and he’s sunk us all anyway. @romesh_h @groundviews don’t you think a whole article is giving him too much attention though?